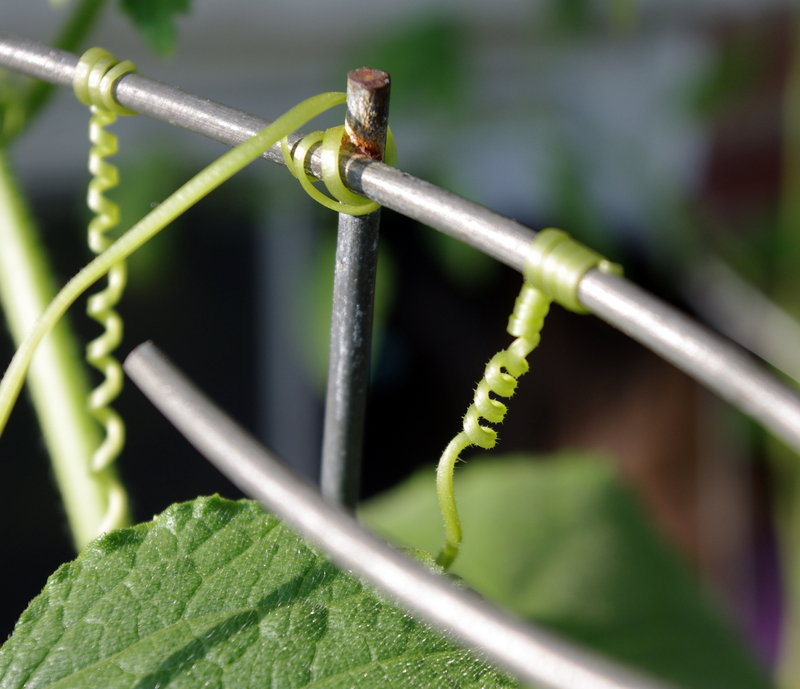 C’mon, admit it, you’ve spent collective hours staring at cucumber tendrils too, right? Coiling and uncoiling them? 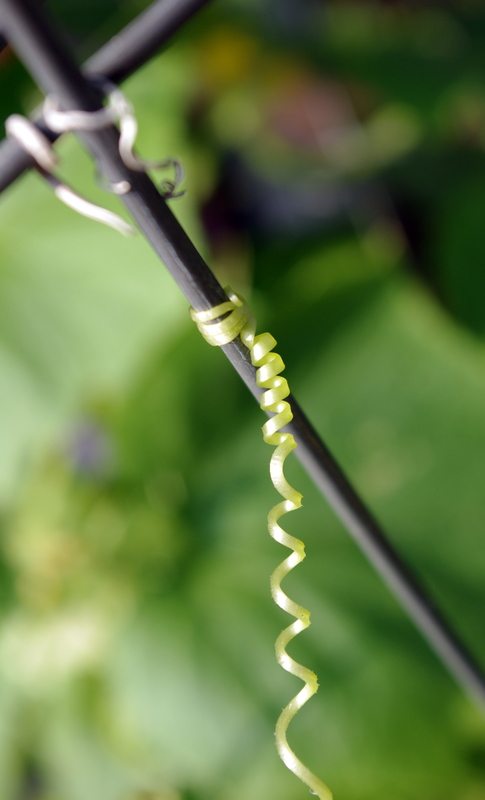 Trying to unkink that weird reverse loop that appears in the middle of each tendril? Spring/sproinging them gently between your fingers, mouth hung open in slack-jawed amazement? Staring, unblinkingly, because you’re sure if you watch hard enough you’ll be able to see the sucker move? Or, more likely, apologizing to the ambitious cucurbit when, in your clumsy haste to redirect the tenacious tendrils, you snap the surprisingly strong springs in two?